Readers, we have a confession to make. 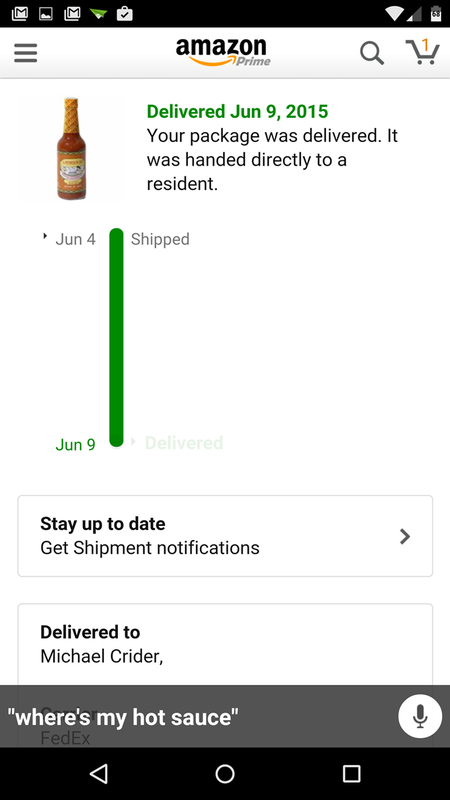 This update to the Amazon shopping app actually came out on June 30th, over two weeks ago. Sorry about that. We spotted it, both on the Play Store and on APK Mirror, but didn't notice anything particularly new about it because Amazon neglected to upload a change log. They've done so today, and the new version (5.6.2.100 on my Nexus 6) actually adds some important new features to the app. 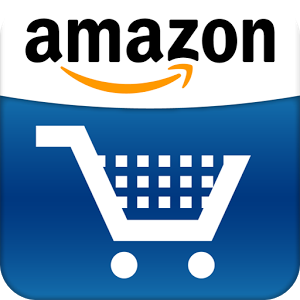 First of all, you can now use the official Amazon shopping app in Mexico thanks to the Amazon.mx expansion announced last month. 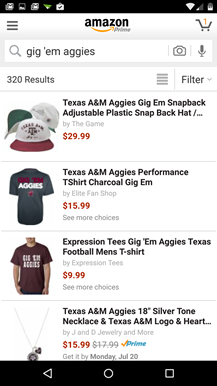 If you've received an Amazon gift card (paradoxically available at many retailers which Amazon actively competes with), you can now scan it with your smartphone's camera to add the credit instead of laboriously punching in numbers. 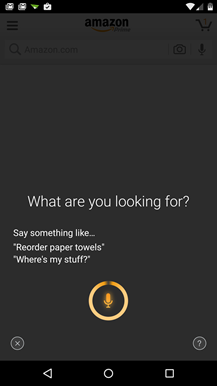 Lastly, voice commands. 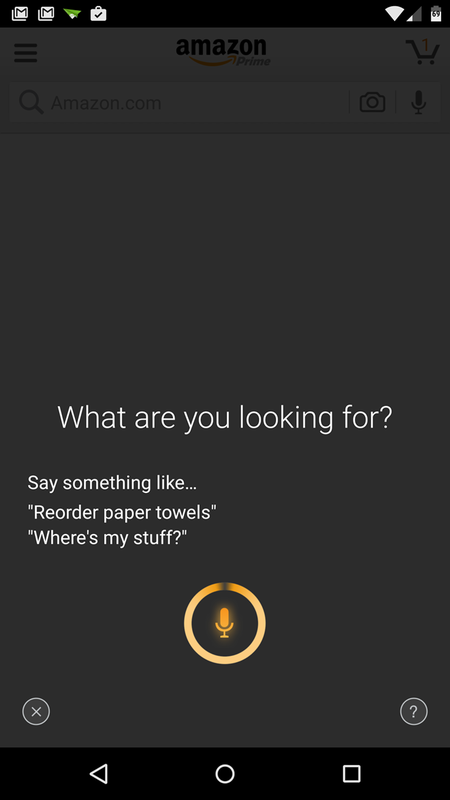 The main search interface now includes a little microphone icon that lets you speak key phrases for the app to interpret. 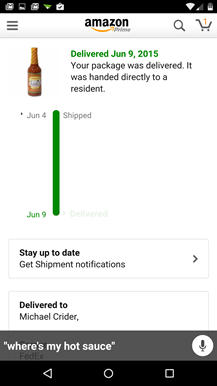 Basic searches are easy, but you can also use searches for your specific account: "where's my hot sauce" shows me the Pepper Plant sauce I ordered last month. 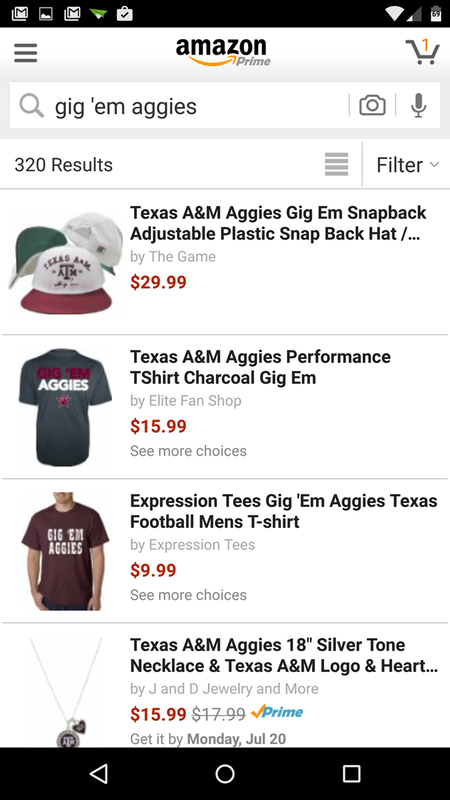 This feature appears to be using some of the natural language technology that Amazon has been working on with the Echo.